Explore Saariselkä by Fat bike. Unique landscape and varied tracks guarantee unforgettable riding experience. Fat biking is fun and suitable for everyone. 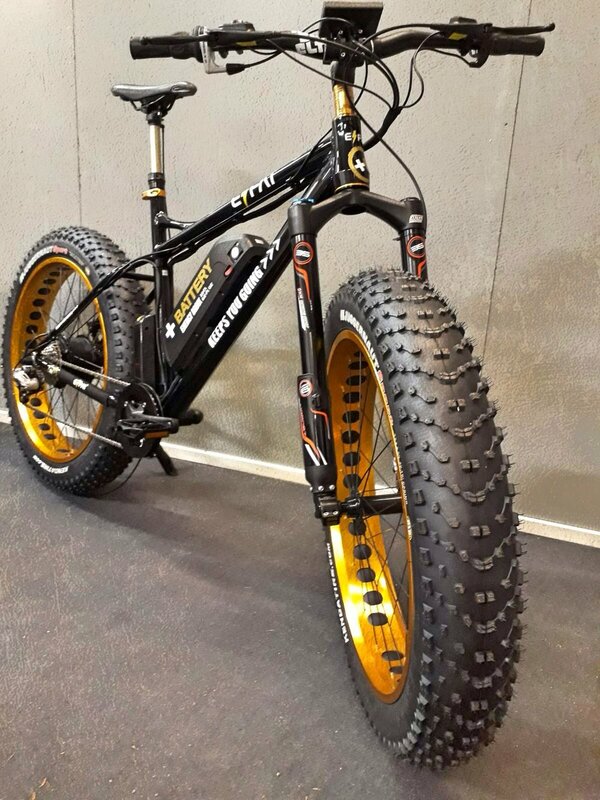 Even tough fat bikes seems to be heavy, however the materials is actually light to carry and easy to control. Big tires help you easily climb over the deepest hill. Fat bikes are off- road bikes which are wonderful for all kind of tracks- rocky, sandy and in snow as well. Husky&Co locates just next to our magnificent Urho Kekkonen National park. We do fat bikes rental, but organize also fat bike safaris from the few hours to the overnight safari. We have two different sizes of frames and all the fat bikes includes electric assistant (1000W battery), which helps you to climb on steep hills. Rental time start from two hours to weeks long. You can combine fat biking with camping and experience stunning night less night in wilderness.